Wondering how to get incredible marketing results for your business? Here's the Ultimate Facebook Marketing Strategy Course With The Best Facebook Marketing Tips & Facebook Marketing Tools Advice Hands Down! ...Step-by-step instructions showing you why Facebook Marketing is a must for every business owner today! I am about to show you the most effective way to increase your leads and sales conversions with a lot less effort and frustration on your part. Are you sick and tired of not seeing visitors come to your website, even after you have run some promotions? Are you still winging it and running campaigns that simply do not convert? Probably,if you have not seen any results, your answer might be YES! Right? Use Facebook Marketing to Build a Stupid-Simple PIPELINE to a Slew of PROSPECTIVE CUSTOMERS Waiting To Buy From You! 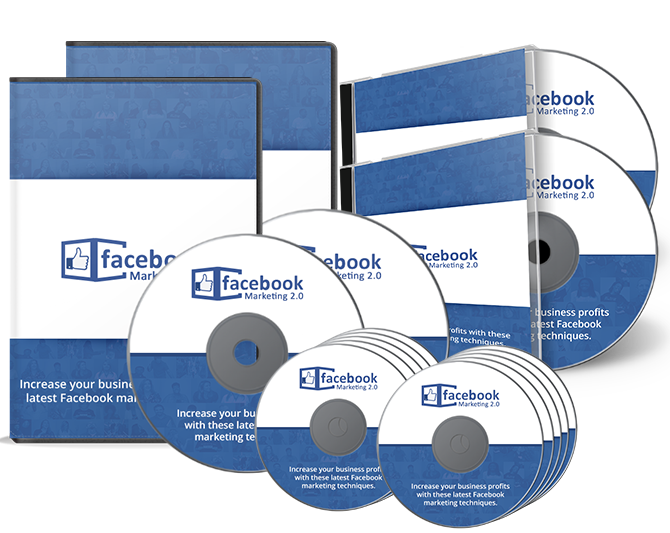 What you need is a step-by-step guide that shows you the latest Facebook Marketing strategies and enables you to use them properly for maximum profits. Don’t worry, after taking this course, you will be able to easily get targeted visitors to your website and boost profits. You will also be able to laser target your audience, without wasting money on marketing campaigns that do not convert. Facebook Marketing Strategy Made Easy! This Unique and easy to understand course will guide you through a much needed, simple to understand, information on how to reach your target market with less efforts. .. and increase your brand awareness! Chapter XII: The 10 do’s you have to apply in your Facebook Marketing campaigns. Chapter XIII: The 10 don’ts you have to avoid in your Facebook Marketing. Chapter XIV: Shocking Facebook Case Studies. Chapter XV: How to make tons of money with Facebook as an Affiliate. We only produce high quality training! The tricks and tips you will learn here, are exactly the same ones used by successful online marketers. In order to increase their profits by using Facebook Marketing Strategies. The reason is simple…we use these strategies ourselves. The only way you will not succeed is by NOT TAKING ACTION. Get Started with “Facebook Marketing” Training TODAY! P.P.S. There is no ROCKET SCIENCE involved in using Facebook Marketing to boost your online business profits. It just needs a Careful and Planned approach. So get STARTED NOW and watch your business GROW! In a world full of marketing advise and digital marketing services, Marques.so is unique because it’s owned and operated by real digital marketers who actually sell their own products and services online. In other words, we actually DO THIS STUFF! !